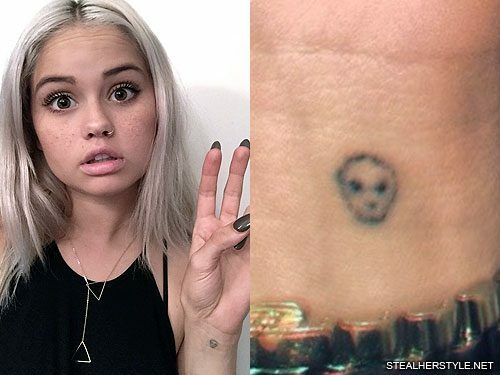 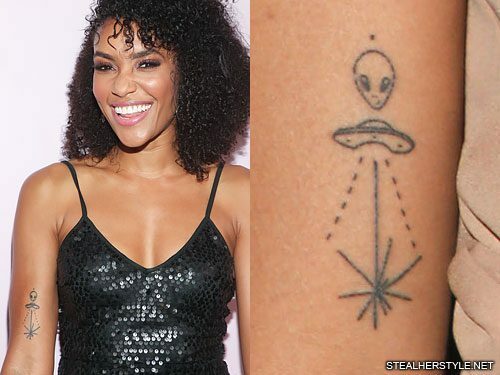 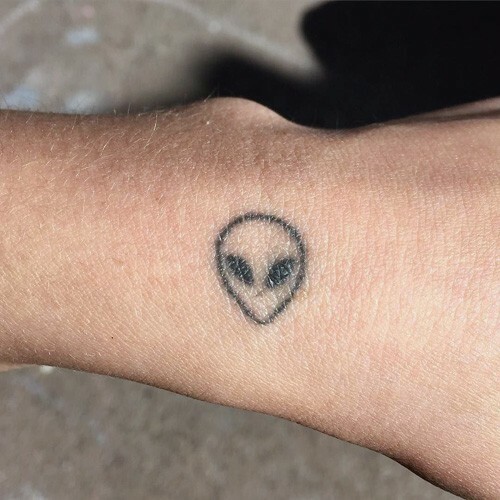 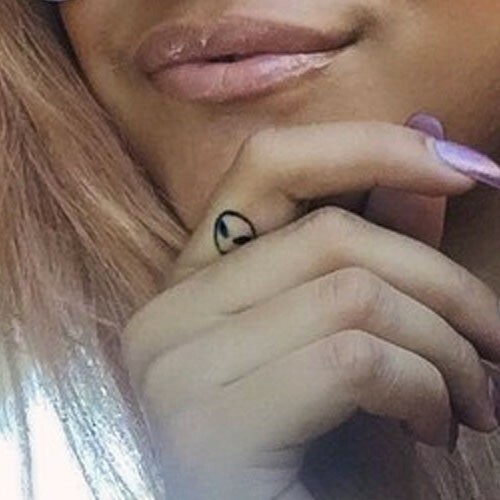 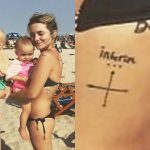 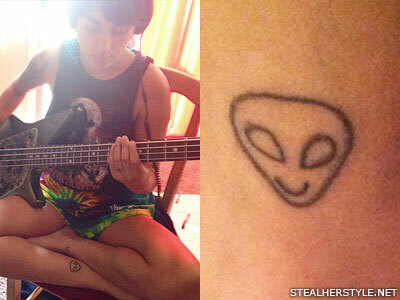 Anissa Rodriguez got this DIY stick-and-poke alien head tattoo on the inside of her right ankle in September 2014. 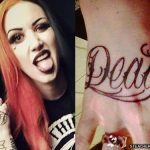 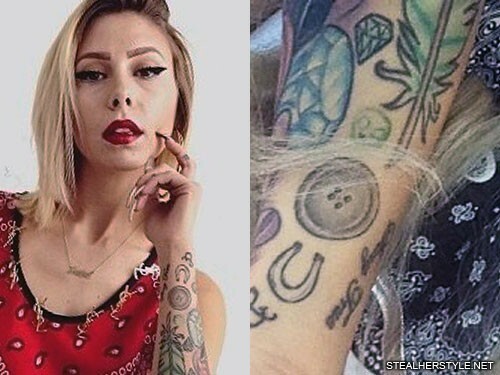 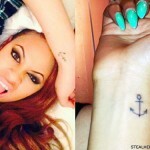 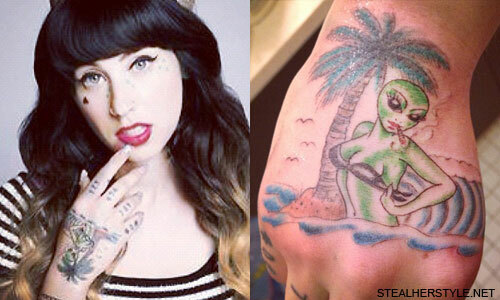 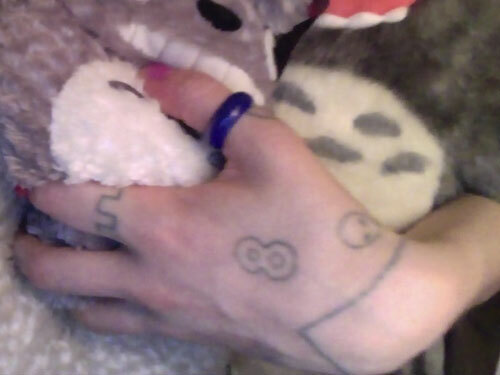 Lil Debbie has a tiny green alien head in between the other tattoos on her left wrist. 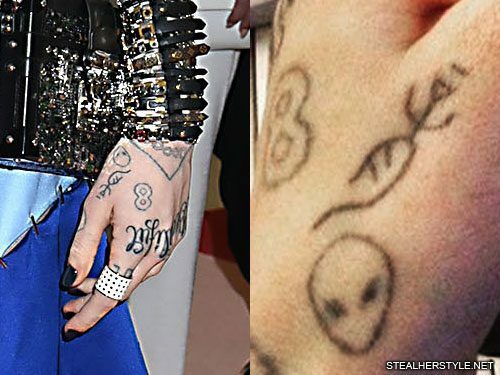 Miley Cyrus had her knuckle tattoos colored in by artist Lauren Winzer on October 14, 2014. 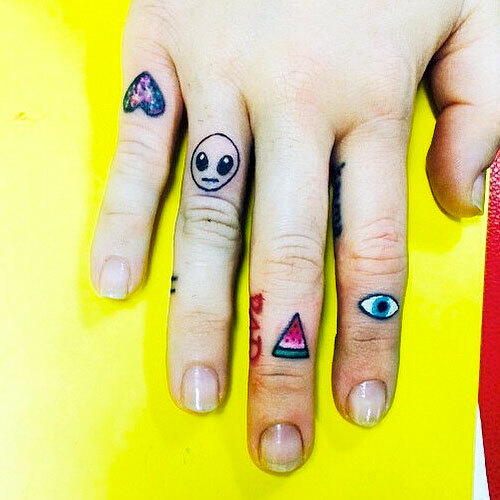 She filled the heart on her pinkie with galaxy print, added a new tattoo of an alien head on her ring finger, transformed the triangle on her middle finger into a slice of watermelon, and colored the nazar (“evil eye”) on her ring finger.